There are countless holsters and they all tend to get the job done with various degrees of success. Competition is the lifeblood of the marketplace and it makes innovation a priority, which is why the ShapeShift paddle holster exists. It's a reaction to the gun owner's needs and lifestyle. As part of a modular system, the ShapeShift was designed to adapt to different situations and needs. 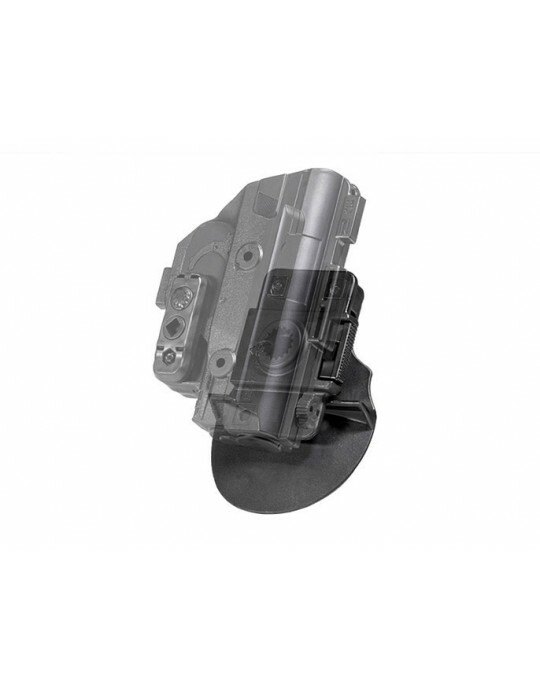 The Shift Shell, which encapsulates the trigger guard, can be disconnected from the paddle clip and installed on any of the available ShapeShift backers. 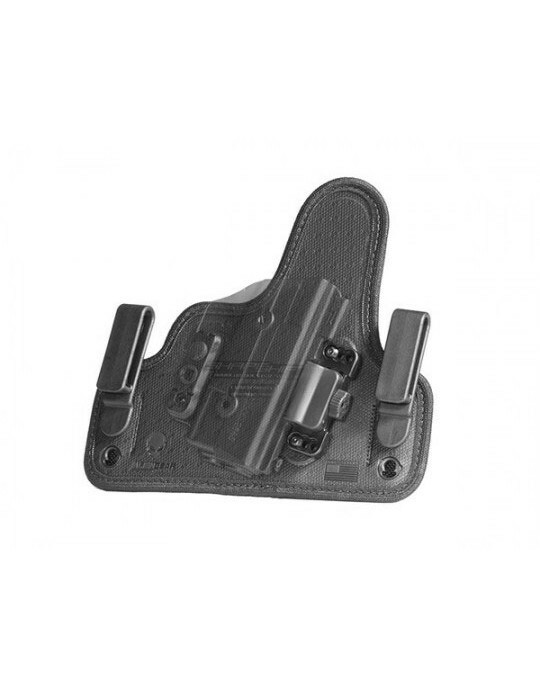 The result is a paddle holster that can be a classic IWB holster, for example, in a matter of moments without any tools. The aspects of an OWB paddle holster were modified with the ShapeShift. The cant may be tilted in 12-degree increments up to 360 degrees. The passive retention may be altered for a tighter or looser hold with the adjustable retention unit. An active retention thumb release may also be installed. A retention lip on the paddle clip improves retention on the waistline, warding against threats intending to disarm the open carrier. 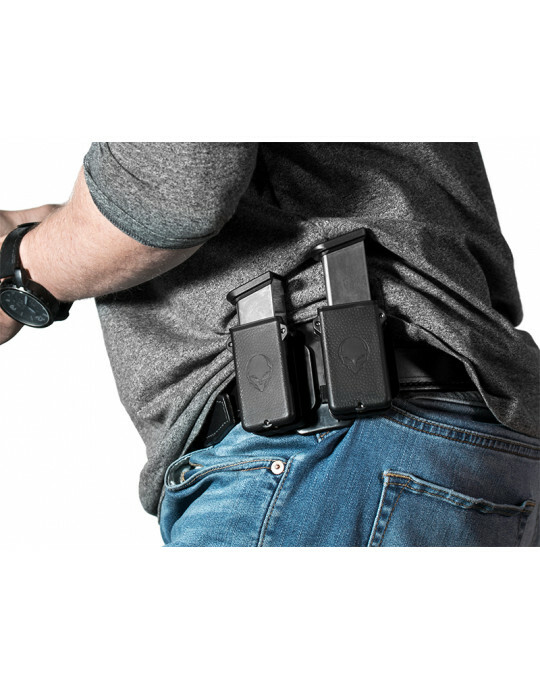 The ShapeShift paddle holster is compatible with the holster mount, which can be installed on compatible surfaces including wood, drywall, plastic and sheet metal. 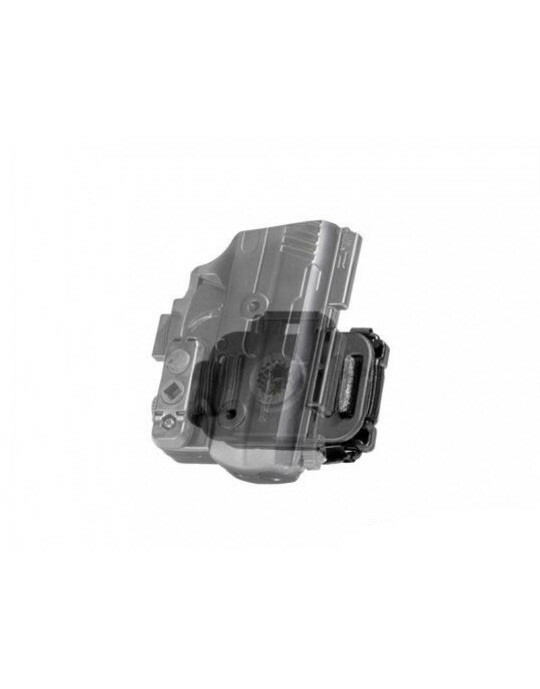 The Shift Shell is disengaged from the waistline by activating the quick release lever. It may then be attached to a secure, off-the-body location (like a desk or within a car) for quick access. The Shift Shell was engineered with premium injection-molded polymer that is shaped to the exact make and model of your Springfield. All the parts and pieces are made of that polymer material. 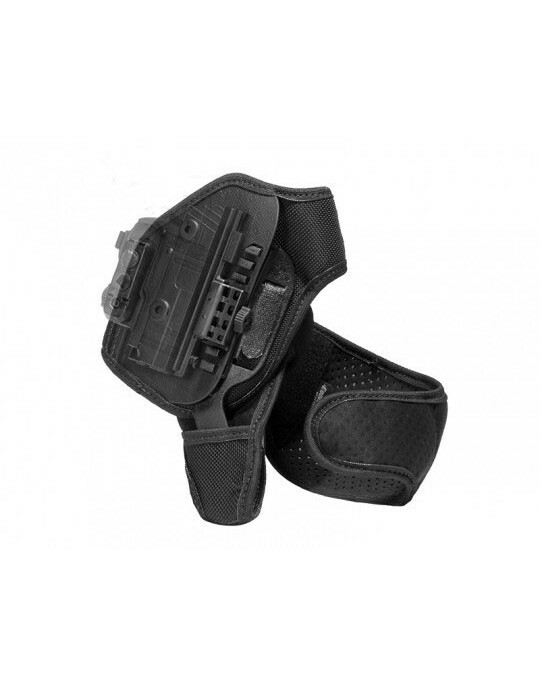 If anything malfunctions within the holster, we will replace or repair it free of charge. 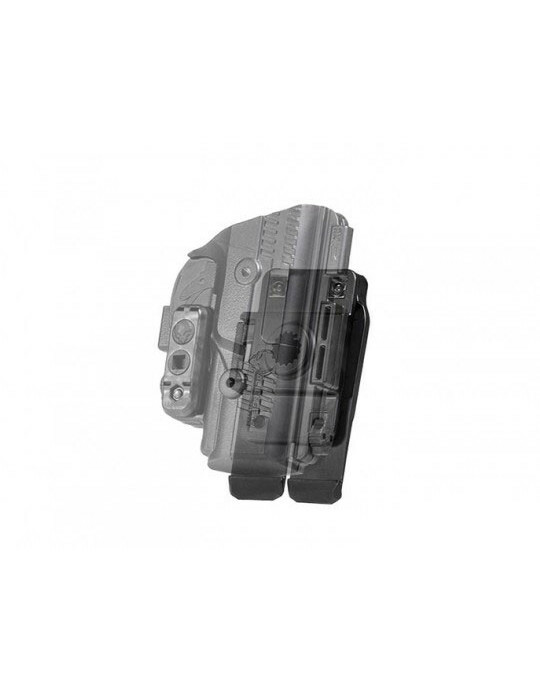 The ShapeShift OWB paddle holster is covered by Alien Gear's Forever Warranty. This is coupled with a 30-day test drive. 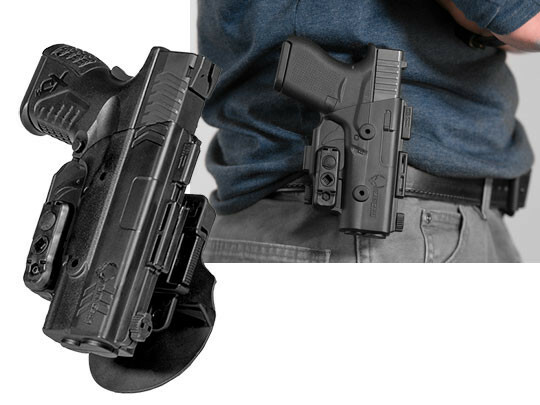 The holster is yours for a month to test and wear, but if you don't like it we'll buy it back from you during that time frame. No questions asked. 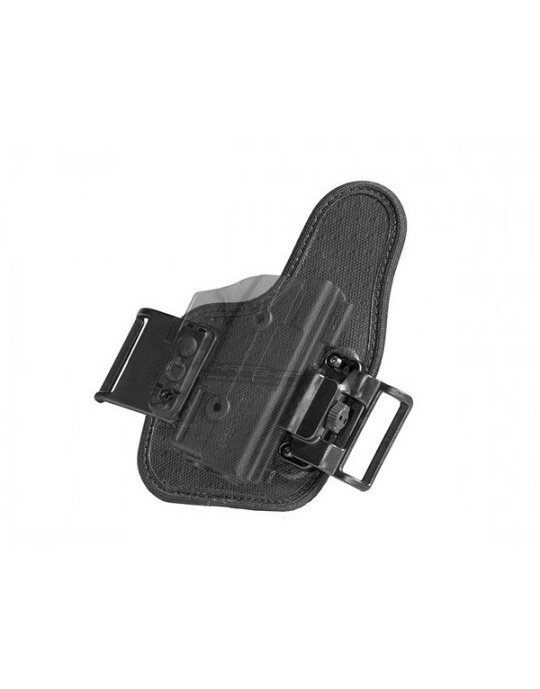 This entire holster was proudly made in America by skilled craftsmen, veterans and manufacturers.